PEDGIHEP is an offshoot of the co-ordinated activity by EB-PGHN group: Evidence-Based Pediatric Gastroenterology, Hepatology and Nutrition. This is a sincere attempt by dedicated subspecialists all over the world to improve and add on to the present status of pediatric gastroenterology, hepatology and nutrition. It includes a monthly e-journal, guidelines, standard refrences, case series, virtual counselling for patients, academic online meetings, consensus statements by editorial group, recent advances and a weekly newsletter. Mission : To understand healing,the process. To apply healing insights to develop fresh ,innovative solutions which provide real, measureable outcomes ;in a joyous satidfied environment for all. Vision : To standarize & Practise the quality care which is evidence based for children suffering from various Pediatric Gastroenterology,Hepatology & Nutrition problems. Pediatric Gastroenterology & Hepatology is a Pediatric -science which deals with children suffering from Gastrointestinal diseases like chronic diarrhea, persistent GERD, pediatric IBD, malabsorption syndrome, celiac disease, recurrent abdominal pain etc; Liver disorders like Wilson’s disease, metabolic liver disorders, FHF, pediatric CLD, chronic hepatitis B & C, portal hypertension, liver cirrhosis etc; Gall bladder disorders like cholecystitis, gall stones, CBD stones; Pancreatic disorders like acute pancreatitis, hereditary and tropical pancreatitis, chronic pancreatitis etc. ; and Neonatal spectrum including neonatal cholestasis syndrome, neonatal GERD, eosinophilic esophagitis, congenital GI tract disorders, refractory neonatal diarrhea etc. This is just a brief overview of disorders encompassed by Pediatric Gastroenterology & Hepatology. The whole gamut of diseases in the subject is vast with the branch becoming highly specialized developing field in India. 1. Pediatric gastrointestinal anatomical sciences. 3. Pediatric gastrointestinal molecular medicine and biochemical medicine. 6. Pediatric gastrointestinal allergy and immunology. 8. Pediatric gastrointestinal infectious disease and tropical medicine. CELIAC DISEASE SOCIETY OF INDIA-CENTRAL INDIA , PEDIATRIC CHAPTER IS AN OFFSHOT OF CELIAC DISEASE SOCIETY OF INDIA. THE DOMAIN IS FOR HEALTHCARE PROFESSIONALS WHERE UPTODATE INFORMATION ,GUIDELINES,POSTION PAPERS, ORIGINAL ARTICLES ON CELIAC DISEASE IN CHILDREN ARE AVAILABLE.THIS DOMAIN ALSO ENCOURAGES ACTIVE PARTICIPATION OF CELIAC PATIENTS FOR WIDE OPEN INTERACTIONS. AFFLIATED REGISTRY:CENTRAL INDIA CELIAC DISEASE REGISTRY, Dept of Pediatric Gastroenterology & Hepatology , CARE hospital, Nagpur. DATA accepted on email: pedgihep@yahoo.com. IMA SAONER: Introduction to Pediatric Gastroenterology & Hepatology. Faculty speaker, IMA hall. Saoner .28march 2014. IAP Akola: Pediatric Gastroenterology: What’s new? : Faculty Speaker 9 th March 2014.Hotel Jasnagara, Akola. Good Clinical Research Practise and Biomedical Ethics. Delegate. 6 th feb 2014.Care hospital, Nagpur. International Pediatric Gastroenterology & Hepatology Course. 28 aug to 1 sep : Apollo Hospital, Faculty speaker : 28 aug 2013. topic : Mesentric Lymphadenopathy in children . IAP, Aurangabad: 11 Aug 2013. Pediatric Gastroenterology & Hepatology update: Faculty: topics:1.Recurrent abdominal pain : a journey from 1958 to 2013-08-12, topic 2: approach to LFTs. Vol 45, Pedgihep ejournal published :Surgical aspects of Ped GERD. MDSGCON 2013: Metabolic Disease Study group Of India & IAP, Nagpur: Hepatometabolic & Neurometabolic Disorders CME .12 may 2013, IMA hall Nagpur. Vol 43, 2013. Regular Deworming in children : to be or not to be? Book chapter: Recent advances in Pediatrics vol23, Pediatric Gastroenterology, Hepatology& Nutrition, 2013 publisher: jaypee. Chapter 15.Portal Hypertension. Published. Book chapter: Recent advances in Pediatrics vol23, Pediatric Gastroenterology, Hepatology& Nutrition, 2013 publisher: jaypee. chapter 27.Probiotics . published. IAP Pediatric Infectious disease color atlas; section editor Pediatric Gastroenterology & Hepatology. Published. Jaypee publisher. Vol 41, Basics of childhood difficult diarrhea. Vol 40 ,Pancreatic enzyme replacement therapy. Free access: clinical section. Vol 39, Haemo-peritoneum do's and don'ts. VOL 38, Surgical intervention in pediatric GERD : when and why ? Vol 35 , 2012. evidence based upper GI issues . Vol 34, Meta-review Post Kasai Porto-enterostomy. 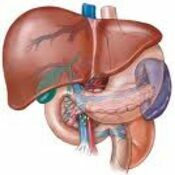 VOL32, PERI-OPERATIVE MANAGEMENT OF PATIENTS WITH LIVER DISEASES on line. Vol 31,H pylori management guidelines . Vol30, Review of Non-variceal Upper GI Hemorrhage in children. Vol 29, Liver regenerative Medicine series: Pediatric Hepatocyte Transplant. Vol 28,Familial adenomatosis polyposis coli. Vol 27, Ammonia and Hepatic Encephalopathy. Vol 26 , Recent advances in Pediatric gastroenterology & hepatology. Vol 25; Endoscope disinfection and reprocessing. Vol 24, Outcome in Liver Failure. Vol 23, ABC of Neonatal jaundice guidelines. Vol 22, Pharmacological aspects of treatment of hpylori infection in children part 2. Vol 21,Pharmacological aspects of treatment of hpylori infection in children part 1. 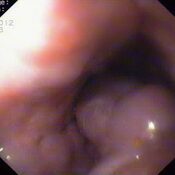 Vol 20, Missed issues in pediatric upper GI. 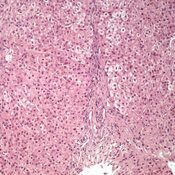 Vol 19, Practical approach to Hepatic encephalopathy in children. Vol 18. Management of acute liver failure in children. Vol 17, Recent advances in Pediatric Nutrition. Vol 15 , Food allergies: diagnosis & management. Vol 14 , Recent advances in pediatric GERD. Vol 13. Non- variceal upper gi bleed in children. 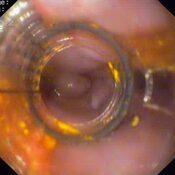 Vol 12 Position statement on GI endoscopy. Vol 11, Hiatus hernia : management in children. Vol 10, Gut protective NSAID’S . Vol 9 , Abnormal LFT’S : stepwise approach. Vol 8, Pancreas & Biliary system : GREY ZONES . Vol 7 Supplement : Gluten in drugs. Vol 6 , Preclinics in gastrointestinal embryology. Vol 5 , Guidelines on Wilson disease management . Vol 4, Celiac disease . Vol 3, Nutritional issues in Pediatric intestinal failure. Vol 2, Chronic liver disease and nutrition. National Pediatric Gastroenterology ,Hepatology & Nutrition conference 2013, IAP Pune,27 -29 Sep 2013,Faculty, Topic : Acute Abdomen : Oh I missed it! IAP, Kolhapur; Chitins memorial CME: Pediatric Gastroenterology & Hepatology Update,22 sep 2013: Faculty speaker : Jaundice in older children & Chronic Diarrhoea approach. International Pediatric Gastroenterology & Hepatology Course: Apollo Hospital, Newdelhi: 28 Sep 2013: Faculty speaker: Mesenteric Lymphadenopathy in children. IAP, Indian Academy of Pediatrics AMRAVATI. Pediatric Gastroenterology & Hepatology in office practise .Hotel Vandu International. 14/04/2013. National Indian Academy of Pediatrics , 2013, Kolkata ,Faculty/Guest Speaker : Pediatric Gastroenterology Symposium : 19 th jan 2013 . Topic: Foreign body in GI tract : Do's & Do nt's? IAP -PED GASTRO chapter NEONATAL CHOLESTASIS GUIDELINES, Editing group, 8 DEC 2012, Apollo New -Delhi. ACAP, Apollo , Delhi. 9 dec 2012 , Guest spkr : Management of Neonatal Cholestasis. WASHIM ,PEDGIHEP cme,at Maa Ganga Memorial Baheti Hospital for Pediatricians .Topic:Pediatric Gastroenterology in opd practice . 18/11/2012. WASHIM ,PEDGIHEP cme,at Maa Ganga Memorial Baheti Hospital for general practioners .Topic:Jaundice in children. 18/11/2012. IAP BILASPUR , PEDGASTRO CME ;HOTEL PANCHWATI, 29/04/2012. IAP WARDHA & DMIMS ONE DAY PED GASTRO CME 20 APRIL 2012. CARE clinical CME , 28 MARCH 2012 : PEDIATRIC ESOPHAGEAL STRICTURES . ACADEMY OF MEDICAL SCIENCES: Clinical meet : 1ST AWARD PRIZE for Metabolic liver disease in children. ACADEMY OF MEDICAL SCIENCES: Clinical meet : 21 march : PEDIATRIC METABOLIC LIVER DISEASE. ACADEMY OF MEDICAL SCIENCES: RECENT ADVANCES CME: 4 MARCH 2012 TOPIC: CLINICOARTHEMATIC ESTIMATION OF HEPATOCYTE DOSE IN CHILDREN WITH LIVER CELL FAILURE. VOL28 ,3, 2012 FAMILIAL ADENOMATOSIS POLYPOSIS COLI : REVIEW & PROTOCOLS published. EB-PGHN e-journals available on Mendeley in Pediatric Gastroenterology , Hepatology & Nutrition group. vol27 Ammonia & Hepatic Encephalopathy e-journal published. New guidelines on celiac disease online! IAP -Aurangabad,PEDGASTRO cme Faculty,15 jan 2012. Apollo center for advanced pediatrics,Faculty :ALF AND CLD . Apollo center for advanced pediatrics : Faculty on position paper IAP : Acute liver failure . International live workshop DEW 2011:Faculty.Chennai. International Live workshop DEW 2011 : 10TH DEC 2011, course co-ordinater:upper GI endoscopy. C.G.PEDICON :IAP State conference, 19 th Nov 2011 Faculty:Ped gastro in office prac. PEDGASTROCON 2011 ,IAP PEDGASTRO CONFERENCE, faculty :Hpylori infection in children. VOL 26 ,2011 Recent advances in Pediatric Gastroenterology published. VOL24 ,2011 PEDGIHEP EJOURNAL : ENDOSCOPE DISINFECTION & REPROCESSING PUBLISHED. Vol 23, 2011 PEDGIHEP E-Journal : Review & analysis of outcome in liver failure PUBLISHED. VOL22,2011 PEDGIHEP E-JOURNAL : ABC s OF NEONATAL JAUNDICE , COMPARING GUIDELINES 2004/2010/2011 PUBLISHED. E-LIBRARY : Celiac Disease recent articles from various journals available .for private circulation of PEDGIHEP group members only. VOL21,2011 PHARMACOLOGICAL ASPECTS ON HPYLORI INFECTION IN CHILDREN. AWESOME 2011 : IAP -MUMBAI ON 27/28TH AUG 2011. Vol 20, 2011 PEDGIHEP E-JOURNAL: SHORT REVIEW OF MISSED DIAGNOSIS IN PEDIATRIC UPPER GI DISORDERS,PUBLISHED. VOL18 , 2011 MANAGEMENT OF ACUTE LIVER FAILURE IN CHILDREN. VOL 17, 2011 RECENT ADVANCES & APPROACH TO PEDIATRIC MALNUTRITION. IAP-SOLAPUR ,PEDGASTRO-CME ,APPROACH TO METABOLIC LIVER DISEASES,13/03/2011,HOTEL CITY PARK,SOLAPUR. PEDGIHEP CME IN AKOLA : 26/02/2011.HOTEL CITY PRIDE , AKOLA. PEDGIHEP & DEPT OF PEDIATRICS ,DM INST. OF MEDICAL SCIENCES, PEDIATRIC GASTROENTEROLOGY CME : 10/02/2011. 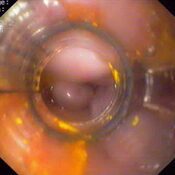 a)PEDIATRIC NUTRITION :RECENT ADVANCES & ENTERAL NUTRITION GUIDELINES b)PEDIATRIC GI ENDOSCOPY IN OFFICE PRACTISE. Published :vol 15, 2.2, pedgihep monothematic e-journal:FOOD ALLERGIES DIAGNOSIS &MANAGEMENT IN CHILDREN . PED GASTRO CLINICAL GRAND ROUND,CARE HOPSITAL ,NAGPUR : FROM WHERE IT SEEPS ? 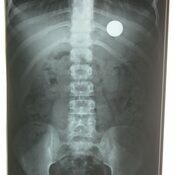 PEDIATRIC REFRACTORY ASCITES.27/01/11: A CASE OF MDR PERITONEAL TUBERCULOSIS. VOL 14 PEDGIHEP,2.1,2011,PED GERD UPDATES & GUIDELINES TILL DEC 2010 , MONOTHEMATIC E-JOURNAL .BOOK YOUR COPY. 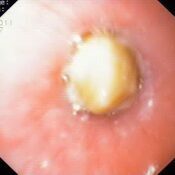 PED GERD : GUIDELINES & PED GI ENDOSCOPY : WHEN & WHY ? : Evidence based CME:17 DEC HOTEL CENTER POINT , NAGPUR BY PEDGIHEP GROUP. Pedgastro CME :B J medical college, dept of pediatrics, Pune.CONSTIPATION A SYMPTOM NOT DIAGNOSIS. 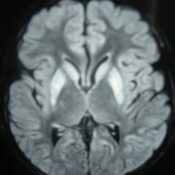 VOL13,2010:NONVARICEAL UPPER GI HAEMORRHAGE IN CHILDREN : A REVIEW OF CURRENT ASPECTS. VOL 12. 2010:ZOLLINGER ELLISON SYNDROME.DIAGNOSIS AND MANAGEMENT IN PEDIATRIC AGE GROUP. RAP is a common cause of repeated belly pain in otherwise healthy children. It is a common cause for missing school and other activities. Repeated episodes of belly pain , Pain that lasts 1 to 3 hours, the child often lies down with the belly pain are common symptoms. After the pain, the child acts normally. What should I do? Pediatric Gastroenterologist may suggest writing down: When the pain comes. How long it lasts. What helps? Where the pain is located? Aggravating or relieving factors. Most of time pain can be controlled by medicines after appropriate diagnosis. Your pediatric gastroenterologist may suggest trial of medicines or if necessary blood investigations /sonography. 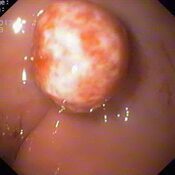 Pediatric endoscopy to find the exact cause of abdominal pain is a safe procedure in experienced hands. When to contact Pediatric Gastroenterologist ?If the pain is worse or more frequent, Pain wakes your child up at night, Pain comes with eating, your child looks pale, tired or disoriented during or after the pain, Blood in stools (red, dark red, or black stools) or jaundice is seen. 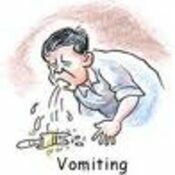 VOMITING & DIARRHOEA in children: Vomiting and diarrhea are mainly due to problems of stomach and intestines. Other cause includes head injury, abdominal injury, infections in other part of body, side-effects of medicines. Proper diagnosis leads to proper treatment. What should we do? In viral infections of intestines antibiotics are not required. Keep a watch on urine output. Unnecessary, stopping breast milk in infants should be avoided. ORS should be given add libb. Fruit juices should be avoided. 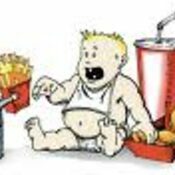 Give your child a normal diet unless told otherwise. It is common for a child to have little appetite when vomiting. Prevent diaper rash by frequent diaper changes. When to contact Pediatric Gastroenterologist? Confusion or decreased alertness, Sunken eyes, Pale skin, Dry mouth, No tears when crying, Rapid breathing or pulse, Weakness or limpness, green or yellow vomit, abdominal pain, Vomiting red blood, Severe headache, bloody Diarrhea, fever uncontrolled by ,medicines.